Who hasn't played cowboys and indians when we were kids? Well it seems that Ainoko here is doing just that with some friends of his. Looks like he is having fun and is making a newbie mistake (he is gonna get tagged for that I bet). Looks like he making all kinds of mistakes playing indian it seems. 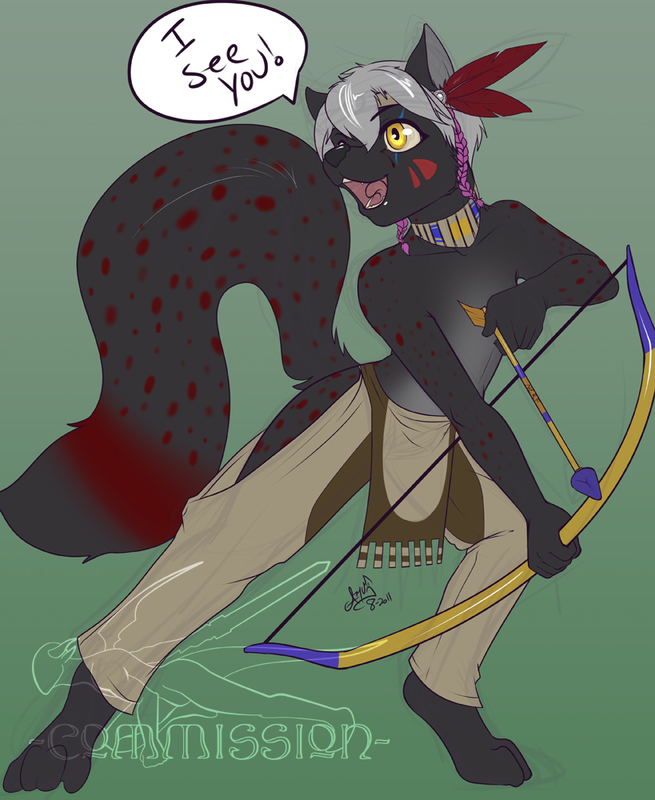 In this pic Ainoko is a cub of 12-14 years of age and having a grand old time..
for his iron artist challenge. sent you his way (he really deserves the praise, adulation and honors as well).